A.A. Milne, creator of the beloved honey obsessed bear, patterned his imaginary world after the real one. His son, Christopher Robin Milne had a stuffed bear, a pig, a donkey, and a tiger, all of whom show up in the stories, and most of which are available to see in the New York City Public Library. Winnie-the-Pooh isn’t bare of intellectual intentions. Some have credited A.A. Milne’s popular Pooh character as a vehicle for eastern philosophy. None of that shows up in the film, though. You can decide for yourself if you think it’s there to begin with, in the pages of the original stories. As an aside, there are some interesting parallels between A.A. Milne and C.S. Lewis, who were contemporaries. Both are from England and fought in WWI. Both contracted trench fever in the war (along with J.R.R. Tolkien). Both wrote poetry—and truth be told—would have preferred to be remembered as poets. Yet, for both men, their children’s books overshadowed their literary careers. Like the eastern philosophy, you won’t find any of the family drama showing up in the film either. 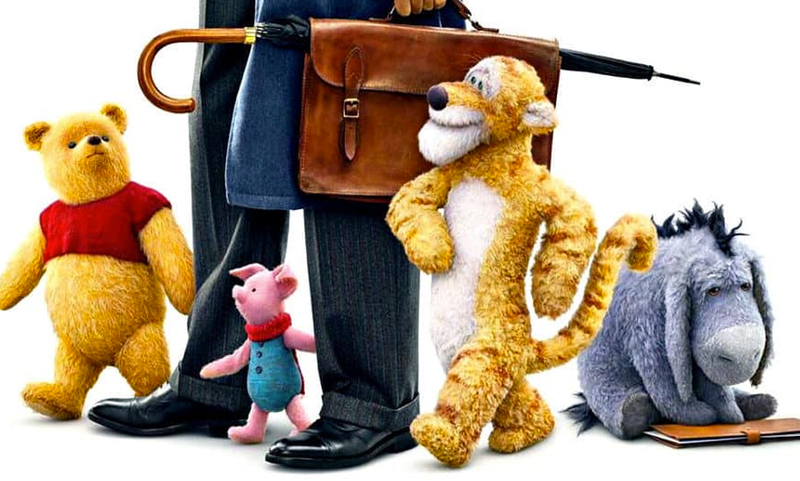 But knowing a bit more of the story behind the creator of Winnie-the-Pooh makes the movie seem all the more redemptive. As you can see from the trailer, it’s the tale of a man who learns proper priorities.